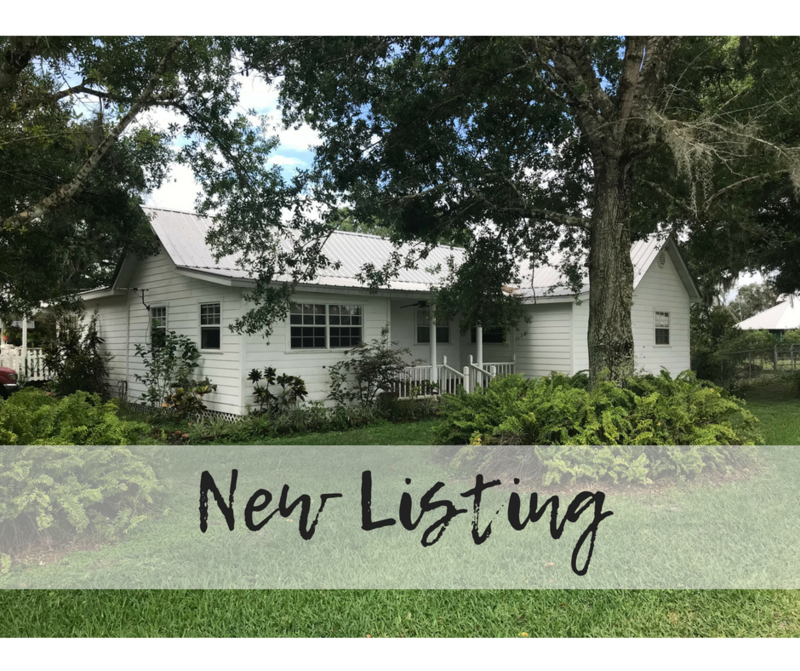 ALL IN LOVE WITH THIS RUSTIC FARMHOUSE THAT FEATURES THREE BEDROOMS, TWO BATHROOMS, A MOTHER IN LAW APARTMENT AND 2 METAL BARNS ON ALMOST 1 ACRE IN DESOTO COUNTY! This home has "Joana and Chip Gaines" all over it! Come turn this home into your dream home! You will adore all that this home has to offer including the beautiful tile floors, the original wood cabinets, the elongated laundry room with plenty of storage space, the cozy dining room that connects the spacious kitchen and the large living room. Enjoy your cup of coffee on early Florida mornings on your lovely front and back porches. There is also a 270 square foot apartment, 2 huge metal barns, a concrete pad with RV hookups, and lots of fruit trees and different plants that will astound. This home has a metal roof and a newer central a/c unit! This is the perfect purchase and with a little work, you will have great equity in your home! Offered at $135,000, this is not a deal to let pass!